It has happened again, England have exited a major tournament early. The same old excuses have been heard, 'it was a young squad, we will do better in four years time' and 'the big stars are to blame, they only care about money'. 2014 represented 24 years since the nations last credible performance at a World Cup, a semi-final defeat to arch-rivals West Germany on penalties. 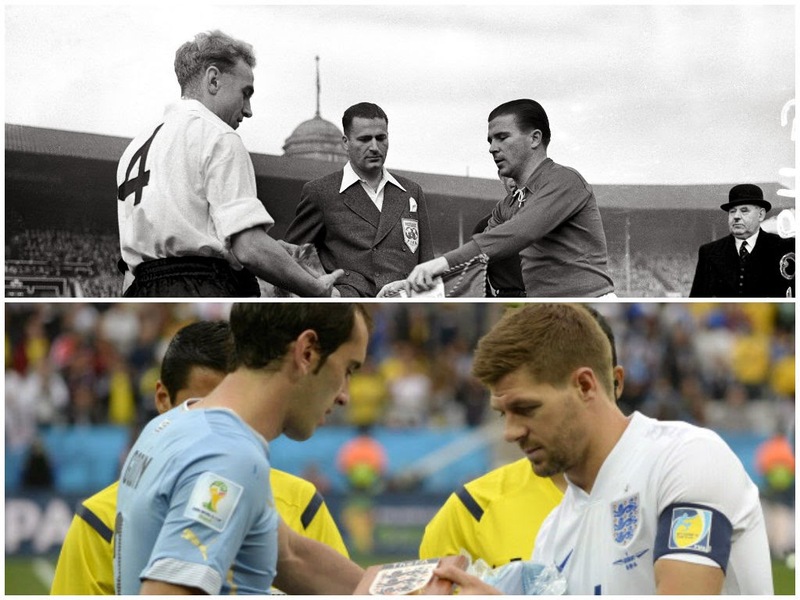 For many this year's exit was a signal of a continual decline to the English game, at least at an international level, but for me it provides almost a mirror image to the national side in the 1950s, the decade which is football's most intriguing. In 2014 England have Wayne Rooney, Steven Gerrard and Joe Hart, three players of almost world class standards and a trio which have frequently come under criticism for under performing. For many commentators and journalists this represents a run of performances far removed from the 'good old days' of Tom Finney, Stan Mortensen and Bobby Charlton, but is this really the case? 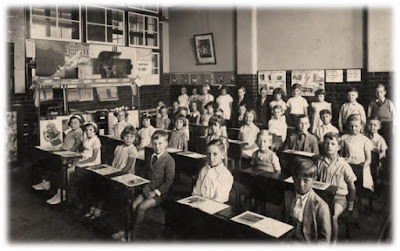 In this piece I am going to explore the decade which although less than successful on the pitch was one of the most innovative and educational for the wider scope of the 'English' game - a period of ten years which our modern day professionals can learn from. England's greatest sporting achievement was arguably the 1966 World Cup success on home-soil, a tournament in which Alf Ramsey's side expertly played their way to the Jules Rimet trophy. It was a competition and performance which displayed a team of balance, ruthlessness and teamwork. What popular British culture fails to mention is the previous displays by the team in the 1950s. It was here that Walter Winterbottom's side performed at a level not in keeping with the English snobbery, which had led them into thinking a World Cup triumph was a given. England's first World Cup performance was the Brazilian tournament of 1950. The competition was met with what has become a familiar sight, a media-hype around the side. The modern day press is often seen as one which puts too much pressure on the national team, but it is not a new phenomenon. Sport had taken a back seat in many national newspapers, but surely the 'Kings of Football' would walk the tournament and reap the rewards. Following the early exit The Times was quick to make excuses, blaming Spanish tactics, poor refereeing and the goalkeeping heroics of American Frank Borghi. A certain naivety is almost understandable in 1950, with it being the side's first major tournament. 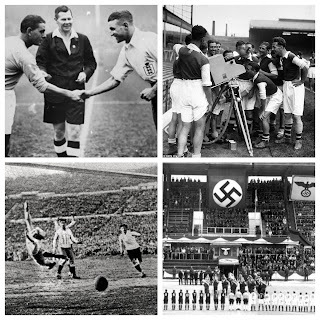 Previous World Cups and Olympics had been as good as boycotted by the Football Association, thinking themselves far superior to the international game, believing their league and their players better than those of Europe and South America. Sound Familiar? Richard Holt cites the end of the Second World War as the point in which Britain opened itself up to the 'world game'". He continues to note that, "at heart the English felt football was their property and were disinclined to co-operate with foreigners." Recently we have seen a number of embarrassing results for England, including the 4-1 defeat to Germany in 2010, the 2-0 home defeat to Chile and of course the single point in this year's World Cup. But English football's lowest point came just 13 years before its greatest achievement of all. In 1953, the 6-3 humiliation to Hungary provided the wake up call the FA needed. According historian Matthew Taylor, "it was here that English Football's self confidence took its greatest blow, possibly of all time." 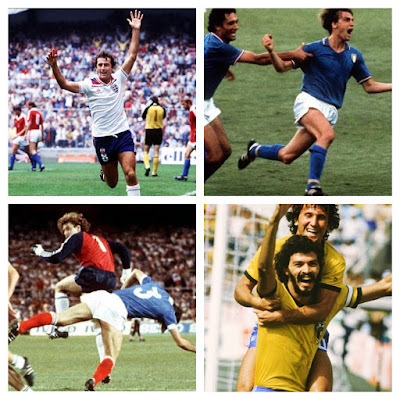 "Once again the day will mirror the two styles prevalent in modern world football. England will use the long through pass, the Hungarians put their faith in swift short passing, a style which excludes the hard tackle and shoulder charge so much a part of British football." "Yesterday by four o'clock on a grey afternoon within the bowl of Wembley Stadium the inevitable happened. To those who had seen the shadows of the recent years creeping closer and closer there was perhaps no surpsrise. England at last were beaten by a foreign invader on English soil...England could be proud of its past, but it must awake to a new future”. It is refreshing to see this change in attitude in terms of how honestly the newspapers reacted to such a humbling. This years exit perhaps highlights a need to rethink the tactics which Roy Hodgson has brought to the team. Hodgson, many people believe suits international football and the general negativity of the tactics involved. However, if this World Cup has proven anything it is surely that attacking football has made a comeback, maybe to England's surprise. Before the 1954 World Cup in Switzerland, England we once more thumped by the Hungarians 7-1. This provided yet another wake-up call but perhaps a new lease of life and desire into the team, which reached the quarter-finals. After beating hosts Switzerland and drawing 4-4 with Belgium a defeat to reigning champions Uruguay saw an exit in the last eight, but finally a competitive national side to be respected. The question for many was how to improve on such a performance, a question which seems to appear after every major tournament in the present day. For some, England's 2014 exit should be put into perspective. 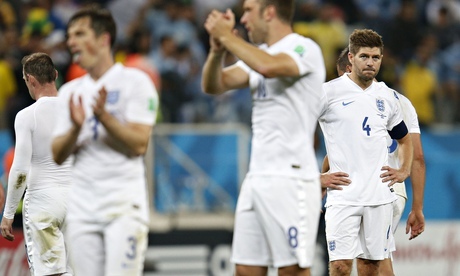 The reality is, Hodgson's side were not fancied from the start and only narrowly lost to two of the world's top ten. It was a similar story in 1958, a World Cup which saw all the home nations qualify, with perhaps to some surprise, Northern Ireland and Wales fairing the best of the bunch. 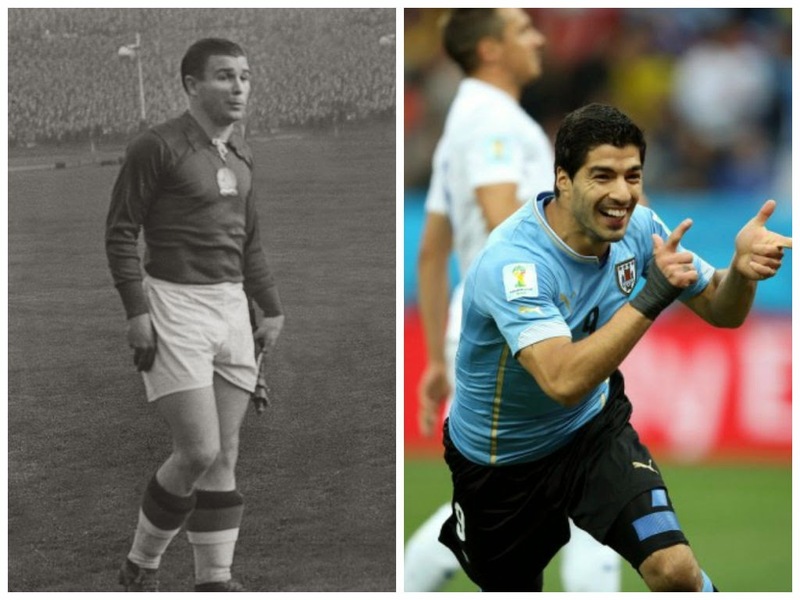 The team drew all three games in the 1958 group stage to the USSR, Brazil and Austria. Level on points with the Soviet Union, a play-off was needed to determine who would progress. Lev Yashin's side snuck a 1-0 victory to leave English football once again questioning, "What went wrong?" The 1962 World Cup in Chile was one which seemed to continue the average performance of the national team. England had seen the talents of Tom Finney, Nat Lofthouse and Stan Mortensen in the previous decade, all seemingly performing below their high standards. After defeat to 1953 enemies Hungary, a 3-1 win over Argentina and a draw against Bulgaria saw progression to the quarter-finals for only the second time. It was here they met the Brazilians without Pele but with the mercurial Garrincha. The latter scored a sumptuous goal and went on to win the tournament in Santiago. England's record was group stage, quarters, group stage quarters. A run which almost reflects the performances of the team since 2002. In 1963, after another quarter-final exit Walter Winterbottom left his post as the England Head Coach in favour of former international Alf Ramsey. Ramsey himself had been in the side which had lost to the Hungarians in 1953, seeing the need for change first hand. Ramsey was given the opportunity, unlike managers before him, to pick the side he wanted to play. Before hand it was put together by a board of selectors with the coach presiding over tactics which was often stuck to the classic WM formation. He was also a pioneer of the 4-4-2 formation, one rarely seen before his appointment and one which demonstrated his tactical nous, perhaps lacking in Winterbottom before him. I am not saying that Roy Hodgson should leave his post as England manager, after all he, like Ramsey in the mid-1960s has also demonstrated a belief in young talents. Without the 1950s and what was learnt from the catastrophic defeats to the US and Hungary it is highly questionable that England would have won the World Cup in 1966. Ramsey had seen the vastly superior of talents of Sebes' Magyars first hand and what style of football was needed in order to win. Like this year's World Cup it would seem that attack is the best form of defence, like it was in 1954 - Hungary scored 27 goals in just 5 games. Can England learn from the 1950s? Without doubt. Our Association Football Correspondent. "England Lose Record To Great Hungarian XI." Times [London, England] 26 Nov. 1953: 12. The Times Digital Archive. Web. 1 Apr. 2014.